When people say they are saved, what do they mean? Think of this blog post as a vocabulary lesson. To become fluent in any language, you must develop your vocabulary. So let’s delve into the aspects of the gospel that are expressed in the person and work of Jesus more fully. Belief in the gospel is not a one-time decision or a conviction that we need salvation only for our past lives and future afterlives. Belief in the gospel is an ongoing expression of our ongoing need for Jesus. The gospel is the power of God for salvation to all who believe (Rom. 1:16). What do we believe? What are we putting our faith in? Jesus’ life represents both the righteousness of God in human form and the perfect fulfillment of the standard of righteousness on behalf of humanity. If you want to know what the righteousness of God looks like, you look at Jesus’ life, and if you want to be declared righteous by God, you need to have faith in how Jesus lived on your behalf, not just in how he died. We all needed a new human to give birth to a new humanity—a perfect man who is also the true image of God, fully displaying what God is like by living a fully submitted and obedient life before God. Jesus is that man. “He is the image of the invisible God, the firstborn of all creation” (Col. 1:15). We need more than the humble life of Christ. We also need the victorious rule and ministry of Christ to overcome Satan’s schemes, bring healing and restoration to the brokenness that sin produces, and provide reconciliation between God and man. Jesus was betrayed, arrested, wrongly accused, and crucified. The perfect Son of God, the righteousness of God, the one who knew no sin, became sin at the cross so that we might become the righteousness of God in him. We needed a perfect substitute—one without sin, fully pleasing to God—who would die in our place. The Bible says, “For the wages of sin is death, but the free gift of God is eternal life in Christ Jesus our Lord” (Rom. 6:23). Our sin, our rebellion, every way in which we fall short of the glory of God, were put on Jesus at the cross. His perfect life was exchanged for our life of sin. Jesus died for our sins. He took our sins on himself—on his real physical, human body—and then died for them. Our sins were buried with Jesus. They were not just removed and put in another place. They were destroyed by his death. If your faith is in Jesus, your sins, past, present, and future, were terminated through Jesus’ death. Jesus was raised on the third day and appeared to more than five hundred people. He was raised with a glorified body, one without sin. This was a body for the new creation. The gospel doesn’t just bring about forgiveness of sins and save us from hell. 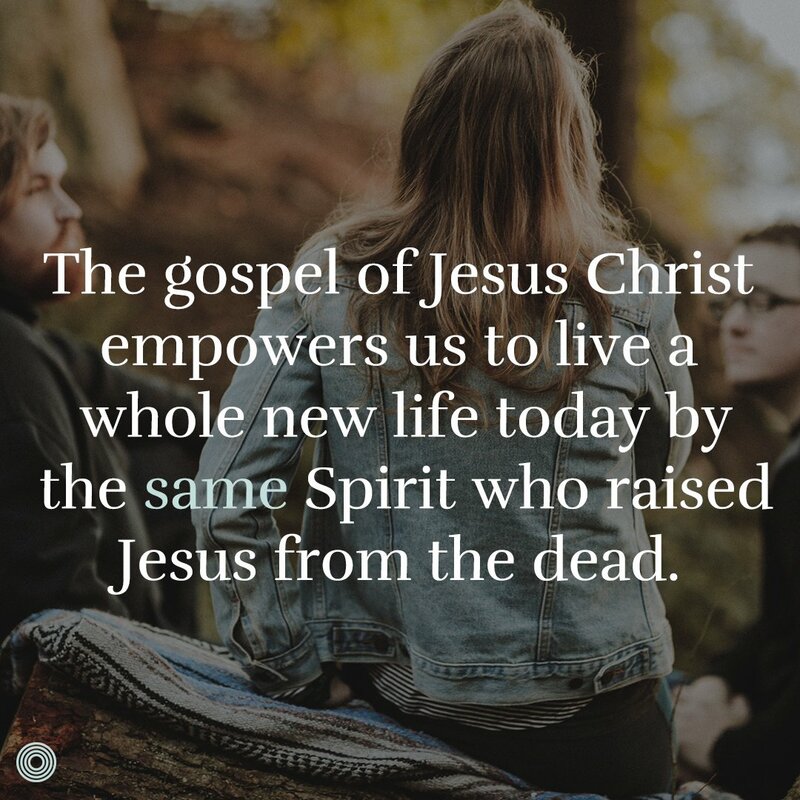 The gospel of Jesus Christ empowers us to live a whole new life today by the same Spirit who raised Jesus from the dead. After Jesus rose from the dead, he ascended to the right hand of God the Father, where he is now making intercession on our behalf. He is continually praying for us, willing to empower us by his Spirit in us, and speaking a better word over us than Satan, sin, or our past experiences speak. After Jesus’ resurrection and ascension, God sent his Spirit to wake us up from spiritual death, convict us of our sin, make the truths of the gospel clear to our hearts, grant us repentance and faith, and bring about new life as a result. By his Spirit, we are born again from the dead, spiritually speaking. We become new creations in Christ. Each of us has a new nature, a new identity, and a new purpose. And the Spirit in those who believe is a sign of all of this. The Spirit is also the means by which we have the power to live entirely new and different lives. He is the sign that we are forgiven and cleansed, changed and made new, chosen and adopted by God—he wants us, he chose us, he changed us, he empowers us, and he loves us. All of this is a gift. It is all by grace. “For by grace you have been saved through faith. And this is not your own doing; it is the gift of God, not a result of works, so that no one may boast (Eph. 2:8–9). 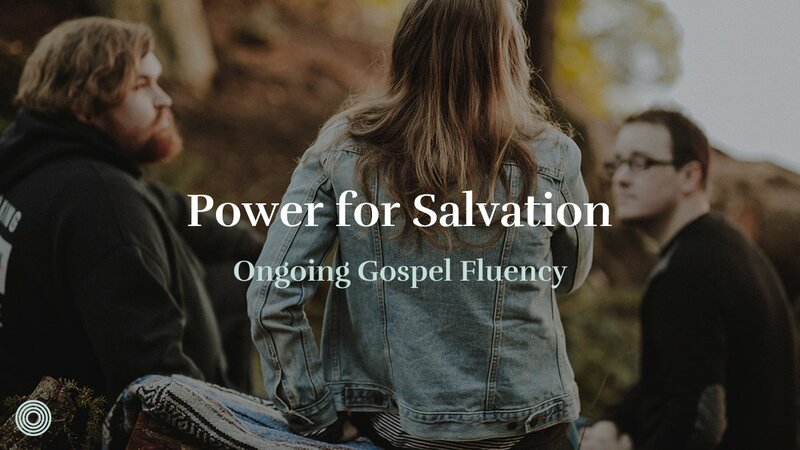 Are you a leader looking to grow in gospel fluency? Apply now to join our Gospel Fluent Leadership Cohort. How can your missional community remind one another of your ongoing need for Jesus?